One of the finest Mercedes-Benz models has gotten even better with the new Mercedes-Benz C-Class Cabriolet. This convertible rendition of the classic vehicle adds a sporty flair to the luxury line. So in addition to the high-end features you’d expect from the C-Class, like the 13-speaker Burmester® sound system and Mercedes me mobile WiFi hotspot. Take a look at the models we have in stock below! Scores 29 Highway MPG and 21 City MPG! This Mercedes-Benz C-Class delivers a Intercooled Turbo Premium Unleaded I-4 2.0 L/121 engine powering this Automatic transmission. Window Grid Antenna, Wheels: 18 Split 5-Spoke, Valet Function. *This Mercedes-Benz C-Class Comes Equipped with These Options *Urethane Gear Shift Knob, Turn-By-Turn Navigation Directions, Trunk Rear Cargo Access, Trip Computer, Transmission: 9G-TRONIC 9-Speed Automatic, Tires: 225/45R18 Fr & 245/40R18 Rr Run-Flat, Tire Specific Low Tire Pressure Warning, Systems Monitor, Strut Front Suspension w/Coil Springs, Smartphone Integration. * Stop By Today *You've earned this- stop by Mercedes Benz of El Dorado Hills located at 1000 Mercedes Lane, El Dorado Hills, CA 95762 to make this car yours today! *Golden Rule*We are a Golden Rule company dedicating ourselves to world-class customer service in an environment of trust, dignity, and fun. George Grinzewitsch, CEO and Owner, Von Housen Automotive Group For more than 60 years, Von Housen Automotive Group has delivered high-end luxury vehicles to discerning clients throughout the greater Sacramento area, and is the place more people trust for quality, service, and a large selection of Mercedes-Benz vehicles. Von Housen Automotive Group operates three Mercedes-Benz dealerships in Northern California, including Mercedes-Benz of Sacramento, Mercedes-Benz of Rocklin and Mercedes-Benz of El Dorado Hills. The group also owns Mercedes-Benz Sprinter dealerships in both Rocklin and Sacramento. Mercedes-Benz of North America Von Housen Automotive Group has more than 300 dedicated employees and sells approximately $301,000,000 in new and used vehicles, parts and service annually. The team is also a leader in supporting community, philanthropic and non-profit initiatives. Stop by Mercedes-Benz of El Dorado Hills to experience a wide selection of Mercedes-Benz luxury cars, presented by Northern California’s leading team of sales advisors. Reach us online, or give us a call.Scores 29 Highway MPG and 21 City MPG! This Mercedes-Benz C-Class delivers a Intercooled Turbo Premium Unleaded I-4 2.0 L/121 engine powering this Automatic transmission. Window Grid Antenna, Wheels: 18 Split 5-Spoke, Valet Function. *This Mercedes-Benz C-Class Comes Equipped with These Options *Urethane Gear Shift Knob, Turn-By-Turn Navigation Directions, Trunk Rear Cargo Access, Trip Computer, Transmission: 9G-TRONIC 9-Speed Automatic, Tires: 225/45R18 Fr & 245/40R18 Rr Run-Flat, Tire Specific Low Tire Pressure Warning, Systems Monitor, Strut Front Suspension w/Coil Springs, Smartphone Integration. * Stop By Today *You've earned this- stop by Mercedes Benz of El Dorado Hills located at 1000 Mercedes Lane, El Dorado Hills, CA 95762 to make this car yours today! *Golden Rule*We are a Golden Rule company dedicating ourselves to world-class customer service in an environment of trust, dignity, and fun. George Grinzewitsch, CEO and Owner, Von Housen Automotive Group For more than 60 years, Von Housen Automotive Group has delivered high-end luxury vehicles to discerning clients throughout the greater Sacramento area, and is the place more people trust for quality, service, and a large selection of Mercedes-Benz vehicles. Von Housen Automotive Group operates three Mercedes-Benz dealerships in Northern California, including Mercedes-Benz of Sacramento, Mercedes-Benz of Rocklin and Mercedes-Benz of El Dorado Hills. The group also owns Mercedes-Benz Sprinter dealerships in both Rocklin and Sacramento. Mercedes-Benz of North America Von Housen Automotive Group has more than 300 dedicated employees and sells approximately $301,000,000 in new and used vehicles, parts and service annually. The team is also a leader in supporting community, philanthropic and non-profit initiatives. Stop by Mercedes-Benz of El Dorado Hills to experience a wide selection of Mercedes-Benz luxury cars, presented by Northern California’s leading team of sales advisors. Reach us online, or give us a call. Scores 29 Highway MPG and 21 City MPG! This Mercedes-Benz C-Class delivers a Intercooled Turbo Premium Unleaded I-4 2.0 L/121 engine powering this Automatic transmission. Window Grid Antenna, Wheels: 18 Split 5-Spoke, Valet Function. * This Mercedes-Benz C-Class Features the Following Options *Urethane Gear Shift Knob, Turn-By-Turn Navigation Directions, Trunk Rear Cargo Access, Trip Computer, Transmission: 9G-TRONIC 9-Speed Automatic, Tires: 225/45R18 Fr & 245/40R18 Rr Run-Flat, Tire Specific Low Tire Pressure Warning, Systems Monitor, Strut Front Suspension w/Coil Springs, Smartphone Integration. * Stop By Today *Stop by Mercedes Benz of El Dorado Hills located at 1000 Mercedes Lane, El Dorado Hills, CA 95762 for a quick visit and a great vehicle! *Golden Rule*We are a Golden Rule company dedicating ourselves to world-class customer service in an environment of trust, dignity, and fun. George Grinzewitsch, CEO and Owner, Von Housen Automotive Group For more than 60 years, Von Housen Automotive Group has delivered high-end luxury vehicles to discerning clients throughout the greater Sacramento area, and is the place more people trust for quality, service, and a large selection of Mercedes-Benz vehicles. Von Housen Automotive Group operates three Mercedes-Benz dealerships in Northern California, including Mercedes-Benz of Sacramento, Mercedes-Benz of Rocklin and Mercedes-Benz of El Dorado Hills. The group also owns Mercedes-Benz Sprinter dealerships in both Rocklin and Sacramento. Mercedes-Benz of North America Von Housen Automotive Group has more than 300 dedicated employees and sells approximately $301,000,000 in new and used vehicles, parts and service annually. The team is also a leader in supporting community, philanthropic and non-profit initiatives. Stop by Mercedes-Benz of El Dorado Hills to experience a wide selection of Mercedes-Benz luxury cars, presented by Northern California’s leading team of sales advisors. Reach us online, or give us a call.Scores 29 Highway MPG and 21 City MPG! This Mercedes-Benz C-Class delivers a Intercooled Turbo Premium Unleaded I-4 2.0 L/121 engine powering this Automatic transmission. Window Grid Antenna, Wheels: 18 Split 5-Spoke, Valet Function. * This Mercedes-Benz C-Class Features the Following Options *Urethane Gear Shift Knob, Turn-By-Turn Navigation Directions, Trunk Rear Cargo Access, Trip Computer, Transmission: 9G-TRONIC 9-Speed Automatic, Tires: 225/45R18 Fr & 245/40R18 Rr Run-Flat, Tire Specific Low Tire Pressure Warning, Systems Monitor, Strut Front Suspension w/Coil Springs, Smartphone Integration. * Stop By Today *Stop by Mercedes Benz of El Dorado Hills located at 1000 Mercedes Lane, El Dorado Hills, CA 95762 for a quick visit and a great vehicle! *Golden Rule*We are a Golden Rule company dedicating ourselves to world-class customer service in an environment of trust, dignity, and fun. George Grinzewitsch, CEO and Owner, Von Housen Automotive Group For more than 60 years, Von Housen Automotive Group has delivered high-end luxury vehicles to discerning clients throughout the greater Sacramento area, and is the place more people trust for quality, service, and a large selection of Mercedes-Benz vehicles. Von Housen Automotive Group operates three Mercedes-Benz dealerships in Northern California, including Mercedes-Benz of Sacramento, Mercedes-Benz of Rocklin and Mercedes-Benz of El Dorado Hills. The group also owns Mercedes-Benz Sprinter dealerships in both Rocklin and Sacramento. Mercedes-Benz of North America Von Housen Automotive Group has more than 300 dedicated employees and sells approximately $301,000,000 in new and used vehicles, parts and service annually. The team is also a leader in supporting community, philanthropic and non-profit initiatives. Stop by Mercedes-Benz of El Dorado Hills to experience a wide selection of Mercedes-Benz luxury cars, presented by Northern California’s leading team of sales advisors. Reach us online, or give us a call. Scores 29 Highway MPG and 21 City MPG! This Mercedes-Benz C-Class boasts a Intercooled Turbo Premium Unleaded I-4 2.0 L/121 engine powering this Automatic transmission. Window Grid Antenna, Wheels: 18 Split 5-Spoke, Valet Function. *This Mercedes-Benz C-Class Comes Equipped with These Options *Urethane Gear Shift Knob, Turn-By-Turn Navigation Directions, Trunk Rear Cargo Access, Trip Computer, Transmission: 9G-TRONIC 9-Speed Automatic, Tires: 225/45R18 Fr & 245/40R18 Rr Run-Flat, Tire Specific Low Tire Pressure Warning, Systems Monitor, Strut Front Suspension w/Coil Springs, Smartphone Integration. * Stop By Today *A short visit to Mercedes Benz of El Dorado Hills located at 1000 Mercedes Lane, El Dorado Hills, CA 95762 can get you a tried-and-true C-Class today! *Golden Rule*We are a Golden Rule company dedicating ourselves to world-class customer service in an environment of trust, dignity, and fun. George Grinzewitsch, CEO and Owner, Von Housen Automotive Group For more than 60 years, Von Housen Automotive Group has delivered high-end luxury vehicles to discerning clients throughout the greater Sacramento area, and is the place more people trust for quality, service, and a large selection of Mercedes-Benz vehicles. Von Housen Automotive Group operates three Mercedes-Benz dealerships in Northern California, including Mercedes-Benz of Sacramento, Mercedes-Benz of Rocklin and Mercedes-Benz of El Dorado Hills. The group also owns Mercedes-Benz Sprinter dealerships in both Rocklin and Sacramento. Mercedes-Benz of North America Von Housen Automotive Group has more than 300 dedicated employees and sells approximately $301,000,000 in new and used vehicles, parts and service annually. The team is also a leader in supporting community, philanthropic and non-profit initiatives. Stop by Mercedes-Benz of El Dorado Hills to experience a wide selection of Mercedes-Benz luxury cars, presented by Northern California’s leading team of sales advisors. Reach us online, or give us a call.Scores 29 Highway MPG and 21 City MPG! This Mercedes-Benz C-Class boasts a Intercooled Turbo Premium Unleaded I-4 2.0 L/121 engine powering this Automatic transmission. Window Grid Antenna, Wheels: 18 Split 5-Spoke, Valet Function. *This Mercedes-Benz C-Class Comes Equipped with These Options *Urethane Gear Shift Knob, Turn-By-Turn Navigation Directions, Trunk Rear Cargo Access, Trip Computer, Transmission: 9G-TRONIC 9-Speed Automatic, Tires: 225/45R18 Fr & 245/40R18 Rr Run-Flat, Tire Specific Low Tire Pressure Warning, Systems Monitor, Strut Front Suspension w/Coil Springs, Smartphone Integration. * Stop By Today *A short visit to Mercedes Benz of El Dorado Hills located at 1000 Mercedes Lane, El Dorado Hills, CA 95762 can get you a tried-and-true C-Class today! *Golden Rule*We are a Golden Rule company dedicating ourselves to world-class customer service in an environment of trust, dignity, and fun. George Grinzewitsch, CEO and Owner, Von Housen Automotive Group For more than 60 years, Von Housen Automotive Group has delivered high-end luxury vehicles to discerning clients throughout the greater Sacramento area, and is the place more people trust for quality, service, and a large selection of Mercedes-Benz vehicles. Von Housen Automotive Group operates three Mercedes-Benz dealerships in Northern California, including Mercedes-Benz of Sacramento, Mercedes-Benz of Rocklin and Mercedes-Benz of El Dorado Hills. The group also owns Mercedes-Benz Sprinter dealerships in both Rocklin and Sacramento. Mercedes-Benz of North America Von Housen Automotive Group has more than 300 dedicated employees and sells approximately $301,000,000 in new and used vehicles, parts and service annually. The team is also a leader in supporting community, philanthropic and non-profit initiatives. Stop by Mercedes-Benz of El Dorado Hills to experience a wide selection of Mercedes-Benz luxury cars, presented by Northern California’s leading team of sales advisors. Reach us online, or give us a call. Boasts 29 Highway MPG and 21 City MPG! This Mercedes-Benz C-Class boasts a Intercooled Turbo Premium Unleaded I-4 2.0 L/121 engine powering this Automatic transmission. Window Grid Antenna, Wheels: 18 Split 5-Spoke, Valet Function. * This Mercedes-Benz C-Class Features the Following Options *Urethane Gear Shift Knob, Turn-By-Turn Navigation Directions, Trunk Rear Cargo Access, Trip Computer, Transmission: 9G-TRONIC 9-Speed Automatic, Tires: 225/45R18 Fr & 245/40R18 Rr Run-Flat, Tire Specific Low Tire Pressure Warning, Systems Monitor, Strut Front Suspension w/Coil Springs, Smartphone Integration. * Visit Us Today *For a must-own Mercedes-Benz C-Class come see us at Mercedes Benz of El Dorado Hills, 1000 Mercedes Lane, El Dorado Hills, CA 95762. Just minutes away! *Golden Rule*We are a Golden Rule company dedicating ourselves to world-class customer service in an environment of trust, dignity, and fun. George Grinzewitsch, CEO and Owner, Von Housen Automotive Group For more than 60 years, Von Housen Automotive Group has delivered high-end luxury vehicles to discerning clients throughout the greater Sacramento area, and is the place more people trust for quality, service, and a large selection of Mercedes-Benz vehicles. Von Housen Automotive Group operates three Mercedes-Benz dealerships in Northern California, including Mercedes-Benz of Sacramento, Mercedes-Benz of Rocklin and Mercedes-Benz of El Dorado Hills. The group also owns Mercedes-Benz Sprinter dealerships in both Rocklin and Sacramento. Mercedes-Benz of North America Von Housen Automotive Group has more than 300 dedicated employees and sells approximately $301,000,000 in new and used vehicles, parts and service annually. The team is also a leader in supporting community, philanthropic and non-profit initiatives. Stop by Mercedes-Benz of El Dorado Hills to experience a wide selection of Mercedes-Benz luxury cars, presented by Northern California’s leading team of sales advisors. Reach us online, or give us a call.Boasts 29 Highway MPG and 21 City MPG! This Mercedes-Benz C-Class boasts a Intercooled Turbo Premium Unleaded I-4 2.0 L/121 engine powering this Automatic transmission. Window Grid Antenna, Wheels: 18 Split 5-Spoke, Valet Function. * This Mercedes-Benz C-Class Features the Following Options *Urethane Gear Shift Knob, Turn-By-Turn Navigation Directions, Trunk Rear Cargo Access, Trip Computer, Transmission: 9G-TRONIC 9-Speed Automatic, Tires: 225/45R18 Fr & 245/40R18 Rr Run-Flat, Tire Specific Low Tire Pressure Warning, Systems Monitor, Strut Front Suspension w/Coil Springs, Smartphone Integration. * Visit Us Today *For a must-own Mercedes-Benz C-Class come see us at Mercedes Benz of El Dorado Hills, 1000 Mercedes Lane, El Dorado Hills, CA 95762. Just minutes away! *Golden Rule*We are a Golden Rule company dedicating ourselves to world-class customer service in an environment of trust, dignity, and fun. George Grinzewitsch, CEO and Owner, Von Housen Automotive Group For more than 60 years, Von Housen Automotive Group has delivered high-end luxury vehicles to discerning clients throughout the greater Sacramento area, and is the place more people trust for quality, service, and a large selection of Mercedes-Benz vehicles. Von Housen Automotive Group operates three Mercedes-Benz dealerships in Northern California, including Mercedes-Benz of Sacramento, Mercedes-Benz of Rocklin and Mercedes-Benz of El Dorado Hills. The group also owns Mercedes-Benz Sprinter dealerships in both Rocklin and Sacramento. Mercedes-Benz of North America Von Housen Automotive Group has more than 300 dedicated employees and sells approximately $301,000,000 in new and used vehicles, parts and service annually. The team is also a leader in supporting community, philanthropic and non-profit initiatives. Stop by Mercedes-Benz of El Dorado Hills to experience a wide selection of Mercedes-Benz luxury cars, presented by Northern California’s leading team of sales advisors. Reach us online, or give us a call. Scores 29 Highway MPG and 21 City MPG! This Mercedes-Benz C-Class delivers a Intercooled Turbo Premium Unleaded I-4 2.0 L/121 engine powering this Automatic transmission. Window Grid Antenna, Wheels: 18 Split 5-Spoke, Valet Function. *This Mercedes-Benz C-Class Comes Equipped with These Options *Urethane Gear Shift Knob, Turn-By-Turn Navigation Directions, Trunk Rear Cargo Access, Trip Computer, Transmission: 9G-TRONIC 9-Speed Automatic, Tires: 225/45R18 Fr & 245/40R18 Rr Run-Flat, Tire Specific Low Tire Pressure Warning, Systems Monitor, Strut Front Suspension w/Coil Springs, Smartphone Integration. * Visit Us Today *A short visit to Mercedes Benz of El Dorado Hills located at 1000 Mercedes Lane, El Dorado Hills, CA 95762 can get you a trustworthy C-Class today! *Golden Rule*We are a Golden Rule company dedicating ourselves to world-class customer service in an environment of trust, dignity, and fun. George Grinzewitsch, CEO and Owner, Von Housen Automotive Group For more than 60 years, Von Housen Automotive Group has delivered high-end luxury vehicles to discerning clients throughout the greater Sacramento area, and is the place more people trust for quality, service, and a large selection of Mercedes-Benz vehicles. Von Housen Automotive Group operates three Mercedes-Benz dealerships in Northern California, including Mercedes-Benz of Sacramento, Mercedes-Benz of Rocklin and Mercedes-Benz of El Dorado Hills. The group also owns Mercedes-Benz Sprinter dealerships in both Rocklin and Sacramento. Mercedes-Benz of North America Von Housen Automotive Group has more than 300 dedicated employees and sells approximately $301,000,000 in new and used vehicles, parts and service annually. The team is also a leader in supporting community, philanthropic and non-profit initiatives. Stop by Mercedes-Benz of El Dorado Hills to experience a wide selection of Mercedes-Benz luxury cars, presented by Northern California’s leading team of sales advisors. Reach us online, or give us a call.Scores 29 Highway MPG and 21 City MPG! This Mercedes-Benz C-Class delivers a Intercooled Turbo Premium Unleaded I-4 2.0 L/121 engine powering this Automatic transmission. Window Grid Antenna, Wheels: 18 Split 5-Spoke, Valet Function. *This Mercedes-Benz C-Class Comes Equipped with These Options *Urethane Gear Shift Knob, Turn-By-Turn Navigation Directions, Trunk Rear Cargo Access, Trip Computer, Transmission: 9G-TRONIC 9-Speed Automatic, Tires: 225/45R18 Fr & 245/40R18 Rr Run-Flat, Tire Specific Low Tire Pressure Warning, Systems Monitor, Strut Front Suspension w/Coil Springs, Smartphone Integration. 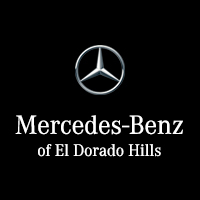 * Visit Us Today *A short visit to Mercedes Benz of El Dorado Hills located at 1000 Mercedes Lane, El Dorado Hills, CA 95762 can get you a trustworthy C-Class today! *Golden Rule*We are a Golden Rule company dedicating ourselves to world-class customer service in an environment of trust, dignity, and fun. George Grinzewitsch, CEO and Owner, Von Housen Automotive Group For more than 60 years, Von Housen Automotive Group has delivered high-end luxury vehicles to discerning clients throughout the greater Sacramento area, and is the place more people trust for quality, service, and a large selection of Mercedes-Benz vehicles. Von Housen Automotive Group operates three Mercedes-Benz dealerships in Northern California, including Mercedes-Benz of Sacramento, Mercedes-Benz of Rocklin and Mercedes-Benz of El Dorado Hills. The group also owns Mercedes-Benz Sprinter dealerships in both Rocklin and Sacramento. Mercedes-Benz of North America Von Housen Automotive Group has more than 300 dedicated employees and sells approximately $301,000,000 in new and used vehicles, parts and service annually. The team is also a leader in supporting community, philanthropic and non-profit initiatives. Stop by Mercedes-Benz of El Dorado Hills to experience a wide selection of Mercedes-Benz luxury cars, presented by Northern California’s leading team of sales advisors. Reach us online, or give us a call. Scores 25 Highway MPG and 18 City MPG! This Mercedes-Benz C-Class boasts a Twin Turbo Premium Unleaded V-6 3.0 L/183 engine powering this Automatic transmission. Window Grid Antenna, Wheels: 18 AMG® 5-Spoke, Valet Function. *This Mercedes-Benz C-Class Comes Equipped with These Options *Urethane Gear Shift Knob, Turn-By-Turn Navigation Directions, Trunk Rear Cargo Access, Trip Computer, Transmission: 9-Speed AMG® SPEEDSHIFT® TCT Automatic -inc: paddle shifters, Transmission w/Oil Cooler, Tires: 225/45R18 Fr & 245/40R18 Rr AS Run-Flat -inc: Extended Mobility Tires, Tire Specific Low Tire Pressure Warning, Systems Monitor, Strut Front Suspension w/Coil Springs. * Stop By Today *Stop by Mercedes Benz of El Dorado Hills located at 1000 Mercedes Lane, El Dorado Hills, CA 95762 for a quick visit and a great vehicle! *Golden Rule*We are a Golden Rule company dedicating ourselves to world-class customer service in an environment of trust, dignity, and fun. George Grinzewitsch, CEO and Owner, Von Housen Automotive Group For more than 60 years, Von Housen Automotive Group has delivered high-end luxury vehicles to discerning clients throughout the greater Sacramento area, and is the place more people trust for quality, service, and a large selection of Mercedes-Benz vehicles. Von Housen Automotive Group operates three Mercedes-Benz dealerships in Northern California, including Mercedes-Benz of Sacramento, Mercedes-Benz of Rocklin and Mercedes-Benz of El Dorado Hills. The group also owns Mercedes-Benz Sprinter dealerships in both Rocklin and Sacramento. Mercedes-Benz of North America Von Housen Automotive Group has more than 300 dedicated employees and sells approximately $301,000,000 in new and used vehicles, parts and service annually. The team is also a leader in supporting community, philanthropic and non-profit initiatives. Stop by Mercedes-Benz of El Dorado Hills to experience a wide selection of Mercedes-Benz luxury cars, presented by Northern California’s leading team of sales advisors. Reach us online, or give us a call.Scores 25 Highway MPG and 18 City MPG! This Mercedes-Benz C-Class boasts a Twin Turbo Premium Unleaded V-6 3.0 L/183 engine powering this Automatic transmission. Window Grid Antenna, Wheels: 18 AMG® 5-Spoke, Valet Function. *This Mercedes-Benz C-Class Comes Equipped with These Options *Urethane Gear Shift Knob, Turn-By-Turn Navigation Directions, Trunk Rear Cargo Access, Trip Computer, Transmission: 9-Speed AMG® SPEEDSHIFT® TCT Automatic -inc: paddle shifters, Transmission w/Oil Cooler, Tires: 225/45R18 Fr & 245/40R18 Rr AS Run-Flat -inc: Extended Mobility Tires, Tire Specific Low Tire Pressure Warning, Systems Monitor, Strut Front Suspension w/Coil Springs. * Stop By Today *Stop by Mercedes Benz of El Dorado Hills located at 1000 Mercedes Lane, El Dorado Hills, CA 95762 for a quick visit and a great vehicle! *Golden Rule*We are a Golden Rule company dedicating ourselves to world-class customer service in an environment of trust, dignity, and fun. George Grinzewitsch, CEO and Owner, Von Housen Automotive Group For more than 60 years, Von Housen Automotive Group has delivered high-end luxury vehicles to discerning clients throughout the greater Sacramento area, and is the place more people trust for quality, service, and a large selection of Mercedes-Benz vehicles. Von Housen Automotive Group operates three Mercedes-Benz dealerships in Northern California, including Mercedes-Benz of Sacramento, Mercedes-Benz of Rocklin and Mercedes-Benz of El Dorado Hills. The group also owns Mercedes-Benz Sprinter dealerships in both Rocklin and Sacramento. Mercedes-Benz of North America Von Housen Automotive Group has more than 300 dedicated employees and sells approximately $301,000,000 in new and used vehicles, parts and service annually. The team is also a leader in supporting community, philanthropic and non-profit initiatives. Stop by Mercedes-Benz of El Dorado Hills to experience a wide selection of Mercedes-Benz luxury cars, presented by Northern California’s leading team of sales advisors. Reach us online, or give us a call. Scores 25 Highway MPG and 18 City MPG! This Mercedes-Benz C-Class delivers a Twin Turbo Premium Unleaded V-6 3.0 L/183 engine powering this Automatic transmission. Window Grid Antenna, Wheels: 18 AMG® 5-Spoke, Valet Function. * This Mercedes-Benz C-Class Features the Following Options *Urethane Gear Shift Knob, Turn-By-Turn Navigation Directions, Trunk Rear Cargo Access, Trip Computer, Transmission: 9-Speed AMG® SPEEDSHIFT® TCT Automatic -inc: paddle shifters, Transmission w/Oil Cooler, Tires: 225/45R18 Fr & 245/40R18 Rr AS Run-Flat -inc: Extended Mobility Tires, Tire Specific Low Tire Pressure Warning, Systems Monitor, Strut Front Suspension w/Coil Springs. * Stop By Today *Test drive this must-see, must-drive, must-own beauty today at Mercedes Benz of El Dorado Hills, 1000 Mercedes Lane, El Dorado Hills, CA 95762. *Golden Rule*We are a Golden Rule company dedicating ourselves to world-class customer service in an environment of trust, dignity, and fun. George Grinzewitsch, CEO and Owner, Von Housen Automotive Group For more than 60 years, Von Housen Automotive Group has delivered high-end luxury vehicles to discerning clients throughout the greater Sacramento area, and is the place more people trust for quality, service, and a large selection of Mercedes-Benz vehicles. Von Housen Automotive Group operates three Mercedes-Benz dealerships in Northern California, including Mercedes-Benz of Sacramento, Mercedes-Benz of Rocklin and Mercedes-Benz of El Dorado Hills. The group also owns Mercedes-Benz Sprinter dealerships in both Rocklin and Sacramento. Mercedes-Benz of North America Von Housen Automotive Group has more than 300 dedicated employees and sells approximately $301,000,000 in new and used vehicles, parts and service annually. The team is also a leader in supporting community, philanthropic and non-profit initiatives. Stop by Mercedes-Benz of El Dorado Hills to experience a wide selection of Mercedes-Benz luxury cars, presented by Northern California’s leading team of sales advisors. Reach us online, or give us a call.Scores 25 Highway MPG and 18 City MPG! This Mercedes-Benz C-Class delivers a Twin Turbo Premium Unleaded V-6 3.0 L/183 engine powering this Automatic transmission. Window Grid Antenna, Wheels: 18 AMG® 5-Spoke, Valet Function. * This Mercedes-Benz C-Class Features the Following Options *Urethane Gear Shift Knob, Turn-By-Turn Navigation Directions, Trunk Rear Cargo Access, Trip Computer, Transmission: 9-Speed AMG® SPEEDSHIFT® TCT Automatic -inc: paddle shifters, Transmission w/Oil Cooler, Tires: 225/45R18 Fr & 245/40R18 Rr AS Run-Flat -inc: Extended Mobility Tires, Tire Specific Low Tire Pressure Warning, Systems Monitor, Strut Front Suspension w/Coil Springs. * Stop By Today *Test drive this must-see, must-drive, must-own beauty today at Mercedes Benz of El Dorado Hills, 1000 Mercedes Lane, El Dorado Hills, CA 95762. *Golden Rule*We are a Golden Rule company dedicating ourselves to world-class customer service in an environment of trust, dignity, and fun. George Grinzewitsch, CEO and Owner, Von Housen Automotive Group For more than 60 years, Von Housen Automotive Group has delivered high-end luxury vehicles to discerning clients throughout the greater Sacramento area, and is the place more people trust for quality, service, and a large selection of Mercedes-Benz vehicles. Von Housen Automotive Group operates three Mercedes-Benz dealerships in Northern California, including Mercedes-Benz of Sacramento, Mercedes-Benz of Rocklin and Mercedes-Benz of El Dorado Hills. The group also owns Mercedes-Benz Sprinter dealerships in both Rocklin and Sacramento. Mercedes-Benz of North America Von Housen Automotive Group has more than 300 dedicated employees and sells approximately $301,000,000 in new and used vehicles, parts and service annually. The team is also a leader in supporting community, philanthropic and non-profit initiatives. Stop by Mercedes-Benz of El Dorado Hills to experience a wide selection of Mercedes-Benz luxury cars, presented by Northern California’s leading team of sales advisors. Reach us online, or give us a call. Boasts 25 Highway MPG and 18 City MPG! This Mercedes-Benz C-Class boasts a Twin Turbo Premium Unleaded V-6 3.0 L/183 engine powering this Automatic transmission. Window Grid Antenna, Wheels: 18 AMG® 5-Spoke, Valet Function. * This Mercedes-Benz C-Class Features the Following Options *Urethane Gear Shift Knob, Turn-By-Turn Navigation Directions, Trunk Rear Cargo Access, Trip Computer, Transmission: 9-Speed AMG® SPEEDSHIFT® TCT Automatic -inc: paddle shifters, Transmission w/Oil Cooler, Tires: 225/45R18 Fr & 245/40R18 Rr AS Run-Flat -inc: Extended Mobility Tires, Tire Specific Low Tire Pressure Warning, Systems Monitor, Strut Front Suspension w/Coil Springs. * Stop By Today *Test drive this must-see, must-drive, must-own beauty today at Mercedes Benz of El Dorado Hills, 1000 Mercedes Lane, El Dorado Hills, CA 95762. *Golden Rule*We are a Golden Rule company dedicating ourselves to world-class customer service in an environment of trust, dignity, and fun. George Grinzewitsch, CEO and Owner, Von Housen Automotive Group For more than 60 years, Von Housen Automotive Group has delivered high-end luxury vehicles to discerning clients throughout the greater Sacramento area, and is the place more people trust for quality, service, and a large selection of Mercedes-Benz vehicles. Von Housen Automotive Group operates three Mercedes-Benz dealerships in Northern California, including Mercedes-Benz of Sacramento, Mercedes-Benz of Rocklin and Mercedes-Benz of El Dorado Hills. The group also owns Mercedes-Benz Sprinter dealerships in both Rocklin and Sacramento. Mercedes-Benz of North America Von Housen Automotive Group has more than 300 dedicated employees and sells approximately $301,000,000 in new and used vehicles, parts and service annually. The team is also a leader in supporting community, philanthropic and non-profit initiatives. Stop by Mercedes-Benz of El Dorado Hills to experience a wide selection of Mercedes-Benz luxury cars, presented by Northern California’s leading team of sales advisors. Reach us online, or give us a call.Boasts 25 Highway MPG and 18 City MPG! This Mercedes-Benz C-Class boasts a Twin Turbo Premium Unleaded V-6 3.0 L/183 engine powering this Automatic transmission. Window Grid Antenna, Wheels: 18 AMG® 5-Spoke, Valet Function. * This Mercedes-Benz C-Class Features the Following Options *Urethane Gear Shift Knob, Turn-By-Turn Navigation Directions, Trunk Rear Cargo Access, Trip Computer, Transmission: 9-Speed AMG® SPEEDSHIFT® TCT Automatic -inc: paddle shifters, Transmission w/Oil Cooler, Tires: 225/45R18 Fr & 245/40R18 Rr AS Run-Flat -inc: Extended Mobility Tires, Tire Specific Low Tire Pressure Warning, Systems Monitor, Strut Front Suspension w/Coil Springs. * Stop By Today *Test drive this must-see, must-drive, must-own beauty today at Mercedes Benz of El Dorado Hills, 1000 Mercedes Lane, El Dorado Hills, CA 95762. *Golden Rule*We are a Golden Rule company dedicating ourselves to world-class customer service in an environment of trust, dignity, and fun. George Grinzewitsch, CEO and Owner, Von Housen Automotive Group For more than 60 years, Von Housen Automotive Group has delivered high-end luxury vehicles to discerning clients throughout the greater Sacramento area, and is the place more people trust for quality, service, and a large selection of Mercedes-Benz vehicles. Von Housen Automotive Group operates three Mercedes-Benz dealerships in Northern California, including Mercedes-Benz of Sacramento, Mercedes-Benz of Rocklin and Mercedes-Benz of El Dorado Hills. The group also owns Mercedes-Benz Sprinter dealerships in both Rocklin and Sacramento. Mercedes-Benz of North America Von Housen Automotive Group has more than 300 dedicated employees and sells approximately $301,000,000 in new and used vehicles, parts and service annually. The team is also a leader in supporting community, philanthropic and non-profit initiatives. Stop by Mercedes-Benz of El Dorado Hills to experience a wide selection of Mercedes-Benz luxury cars, presented by Northern California’s leading team of sales advisors. Reach us online, or give us a call. AIRSCARF®: This features blows warm air over your shoulders, so you can drive with the top down even if it’s chilly outside. AIRCAP®: This available technology works to minimize buffeting for a quiet, tranquil cruising experience. One Button Operation: With the push of a button, the soft top elegantly encloses the luxurious cabin, all in under 20 seconds. If you want to feel the wind in your hair, schedule a test drive at Mercedes-Benz of El Dorado Hills. Our diverse inventory, flexible financing, and friendly sales staff make it a breeze to buy a new Mercedes-Benz C-Class Cabriolet of your very own. Visit us today!